In lieu of flowers memorial donations may be made to the El Dorado Christian School and left at the funeral home. 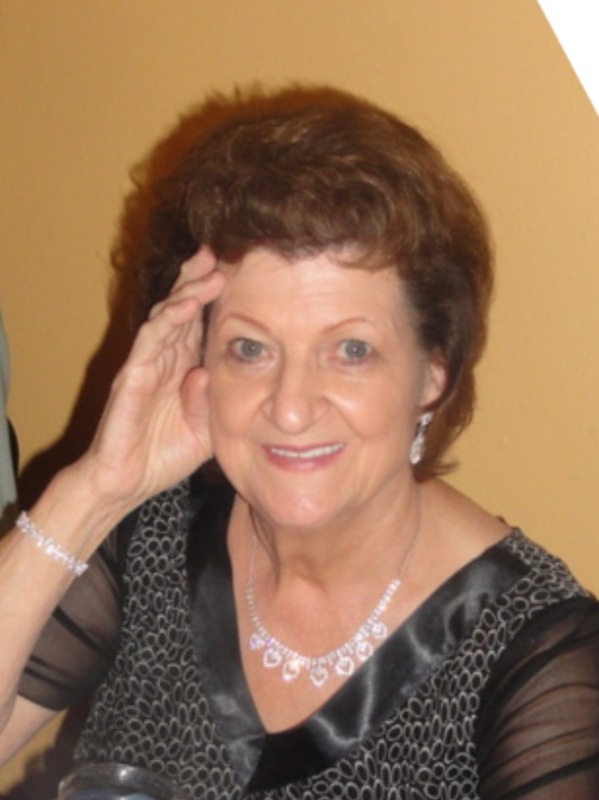 Thelma Joanne (Croy) Smith, age 83, of El Dorado Springs, Missouri, left her beloved home for her heavenly home on Saturday afternoon, March 16, 2019, as her family sang “Because He Lives.” Thelma was born on July 15, 1935, in Linneus, Missouri, the third daughter of Rev. CF and Viola Croy. Thelma married Kenneth Smith on October 30, 1953. They were married for 65 years and five children were born into their union. Thelma and Kenneth renewed their vows last October in Jerusalem. Thelma accepted Jesus into her heart and was baptized as a young girl. Thelma Smith was a remarkably talented and resourceful woman. She became an LPN after all but her youngest child was born, and worked as a school nurse and in a medical clinic. She enjoyed her nursing jobs, but her primary roles in life were as wife, mother, and pastor’s wife — roles to which she was devoted and in which she excelled. Thelma became a wife at the young age of eighteen. Thelma and Kenneth’s loving marriage was the embodiment of Ephesians 5:22, 23. Thelma loved and respected Kenneth and Kenneth loved and adored Thelma. That love will stand as an example to anyone who knew them and will continue to burn brightly until they are reunited in heaven. At the young age of twenty-two, with two small children and one on the way, Kenneth and Thelma moved from Colorado and started the Church of God (Holiness) in Stockton, Missouri. She became a consummate pastor’s wife, cooking and baking “made from scratch” food for a few or for a crowd. Thelma, always hospitable, opened her home to many: friends, family, traveling evangelists and their families or often a church member or neighbor dropping in unannounced for a little visit. Thelma would be the pastor’s wife at six churches before they retired. Her family has received numerous cards, emails and texts from those who tell how much she meant to them. She will be remembered as a classy “Parsonage Queen”, serving out of her love for Jesus and her family. Survivors include her husband, Kenny of the home; her five children: Sharon Reynolds and her husband, Bob, of Olathe Kansas; Ron Smith and his wife, Barbara, of Bolivar, Missouri; Christa Duggar and her husband, Stan, of Grandview, Missouri; Susan Bland and her husband, Ron, of Lee’s Summit, Missouri, and Dennis Smith and his wife, Sue, of Jackson, Tennessee and one sister, Charlotte (Croy) Baumgartner of Littleton, Colorado. Also surviving are her eleven grandchildren: Andrea, Tasha, Ashley, Jennifer, Shauna, Kara, Jordan, Erica, Rachel, Max and Lincoln and their families including twenty-one great grandchildren with three more on the way. Her parents and her two sisters, Maxine and Shirley, preceded her in death. Funeral services for Thelma Smith were held on Thursday, March 21, 2019, at 2:00 p.m. at the El Dorado Springs Church of God (Holiness). Rev. Joe Trussell and Rev. Brent Bland officiated. Music was provided by Dennis Smith, Christa Duggar, Carolyn Tucker, and the Gospel Heritage Quartet. Burial followed in the Stockton Cemetery under the direction of Bland-Hackleman Funeral Home. Pallbearers were: Lewis Stone, Ryan Scofield, Dustin Davis, Eric Swanson, Brady Fuqua, and Eli Lemonier. Honorary pallbearers were: Max Smith, Lincoln Smith, and Jordan Reynolds.